Twelve years after my first marathon, and on my fourth marathon attempt, I finally broke the four-hour barrier with a 3:41:27 at the Bayshore Marathon in May 2017. I immediately set my sights on qualifying for the Boston Marathon. I wanted a flat and fast course, a fun destination, and a decent sized field to run with. 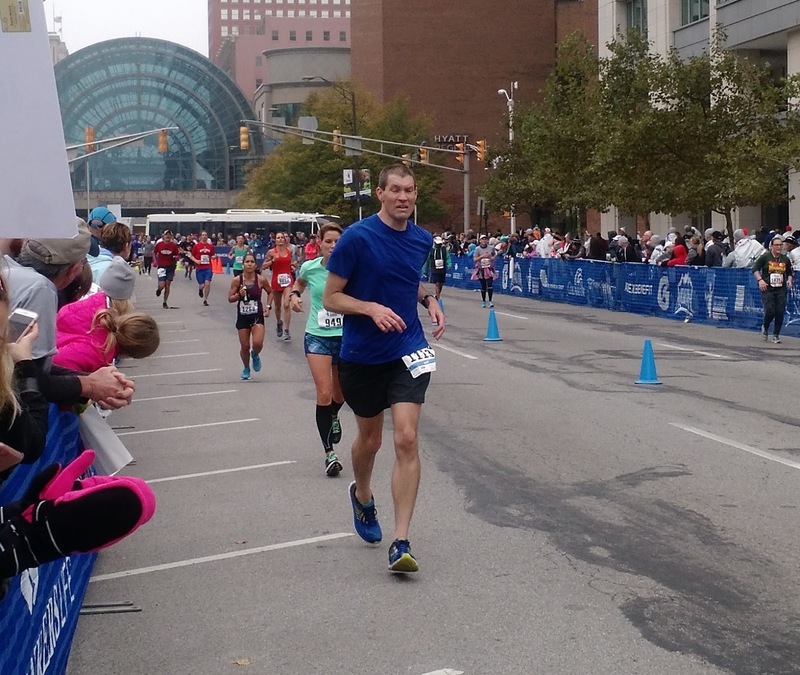 The Indianapolis Monumental Marathon was a little more than five months away and fulfilled all my requirements. Despite living in Michigan for most of my life, I had never been to downtown Indianapolis. I had rowed at the Indianapolis Rowing Center in college, but that is on the outskirts of town. I was very impressed with Indianapolis. 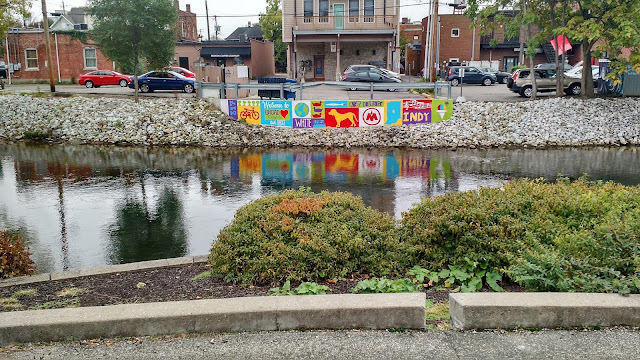 The downtown is vibrant, but I especially enjoyed the Broad Ripple Village neighborhood where we stayed. The Broad Ripple has a ton of good restaurants and bars. The Monon Trail, a rail-to-trail, runs through the neighborhood, making it a great destination for runners. Even though we had to take a short drive to get to the race expo and start/finish area, I'd highly recommend staying at the Hotel Broad Ripple to anyone who likes boutique hotels. 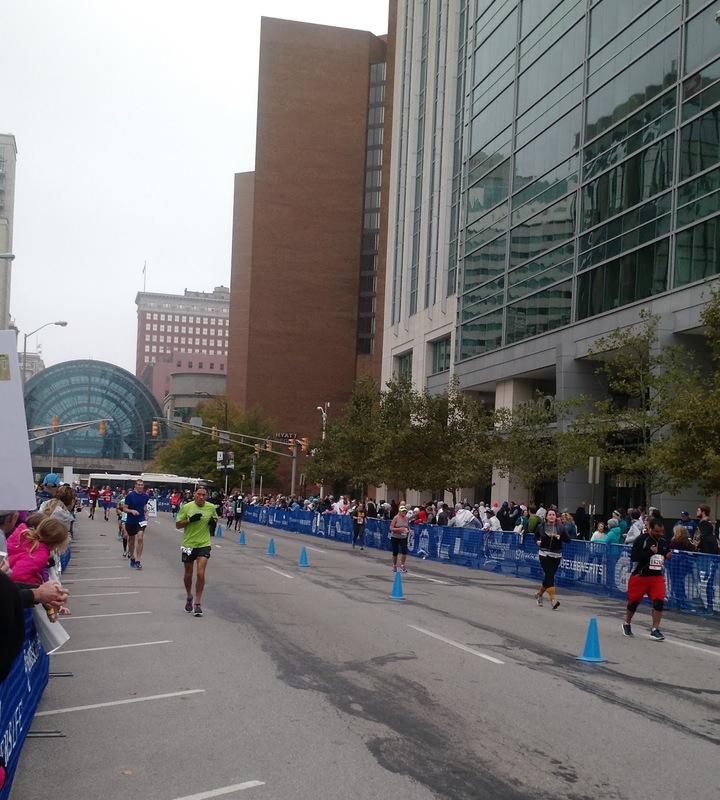 The race expo and packet pickup were held at the Indiana Convention Center. The convention center is downtown, so parking and traffic were a little busy. My wife, Allison, dropped me off, and I ran in to pick up my race number and packet. The expo was full of vendors/exhibitors, but the convention center is so big that it was not chaotic. I easily found the registration desk and picked up my packet. If I were a bigger fan of pre-race expos, I would have stuck around a little longer. My favorite part about the pre-race experience was that the convention center was open the morning of the race. It was a little chilly out, so I was able to get there early and hang out inside without having to worry about burning energy to stay warm. The convention center bathrooms were open, but the lines were LONG. Luckily, I had time to wait. The race organizers also could have put more port-a-johns near the start. The ones outside were not very close to the starting line and had very long lines as well. Let's just say there were a lot of cases of public urination in alleys near the start line because of the lack of nearby port-a-johns. It was still a bit dark out when the race started, but the atmosphere was good. The marathon and half marathon start together, so there were easily more than 10,000 runners at the start. Being packed in with that many people also made it easier to stay warm before I started running. Indianapolis is a great course. My only complaint would be that the first water station was too close to the start and in a narrow part of the course, causing the field to bottleneck and slow down. Other than that one issue, everything else was top-notch. 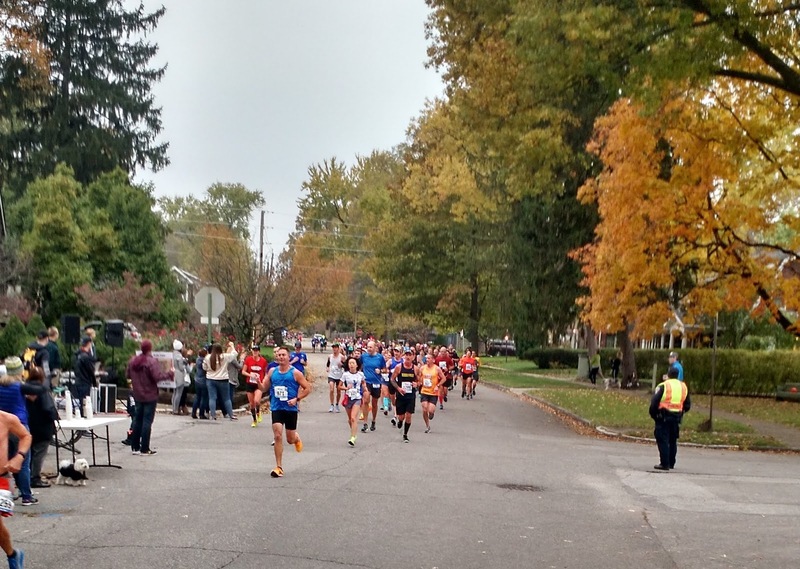 The support from spectators in the neighborhoods was outstanding. The race had ample water, Gatorade, and energy gel stations. Everything was well marked, and the volunteers on the course were excellent. Spectators were everywhere along the course and did a great job cheering and coming up with creative and funny signs to take my mind off the struggle. I loved seeing many families with young kids along the course and hope that those kids were inspired to stay fit by the thousands of runners passing through their neighborhoods. The course also had a lot of music. 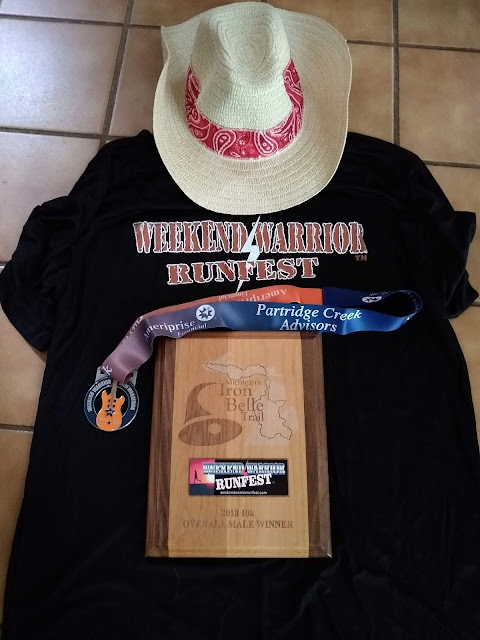 I'm not sure if all the music was officially associated with the race, but it definitely helped me find my rhythm a few times. The course itself was mostly flat, and the few hills were not too steep. Indianapolis is a beautiful city. 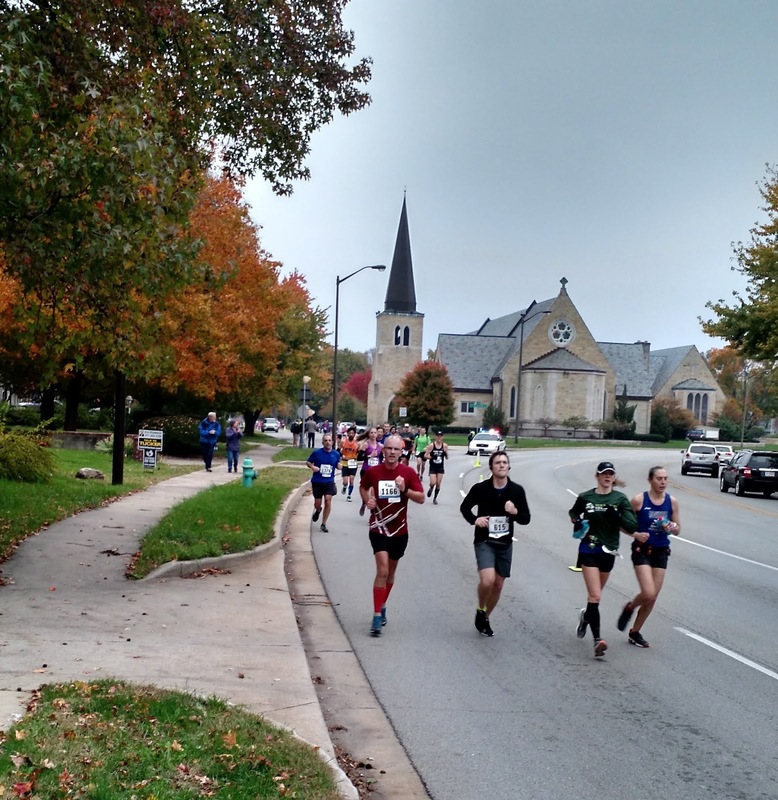 After the downtown segment, the course weaves through gorgeous residential areas, parks, Butler University's campus, and the grounds of the Indianapolis Museum of Art before returning to downtown and the finish. Unfortunately for me, I crashed hard during the last four miles after being on pace for my goal. I needed a 3:25 to qualify for Boston and was shooting for a 3:20 to leave no doubt about qualifying. It felt like I had concrete legs and was running on quicksand for the last 1.2 miles. I missed a Boston qualifying time by 15 seconds with a 3:25:15. I wasn't devastated because it was the first time I set my sights on Boston, and I was still thrilled that I set a new PR by about 16 minutes. The post-race experience was as good as the rest of the race. I don't even think I noticed it happening, but the volunteers equipped me with food, water, my medal, and a space blanket with the speed and efficiency of an Indianapolis 500 pit crew (these Indy folks really know their racing). The finish area was big enough not to be too crowded, so I was also able to find Allison quickly and easily. 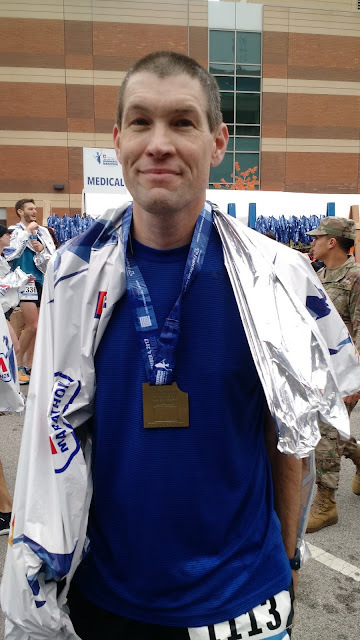 Even though I was disappointed that I didn't achieve my Boston goal, I loved the course itself and the city of Indianapolis. 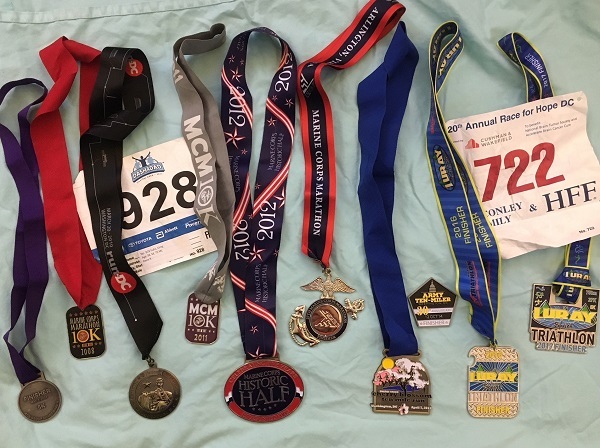 I definitely would consider running the marathon again or trying the half, and I highly recommend this race for someone looking for a fast time and a good course.